Time to sell your Caribbean condo? 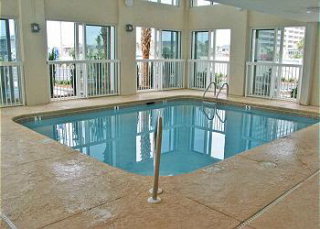 Read about today's resort-area condo buyer. 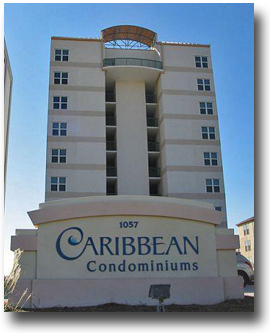 The Caribbean condo development is in the West Beach area of Gulf Shores, Alabama: a popular community that has been a favorite of many vacationers over the years. 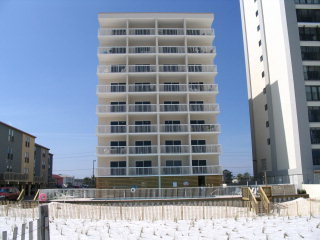 The 32-unit, gulf-front development was built in 2000. The floor plans range from 778 to 1,058 square feet. 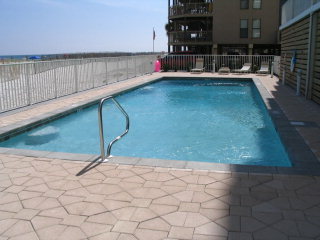 Caribbean condo are getting to be a little older, but still offer a nice amenity package and rents year-round. Owning a condo at Caribbean would make a good investment and, at current prices, it's a great way to get into the condo ownership business. With our area's booming tourism industry, vacationers from all over the country are finding their way down to Gulf Shores and Orange Beach for their yearly beach vacations. 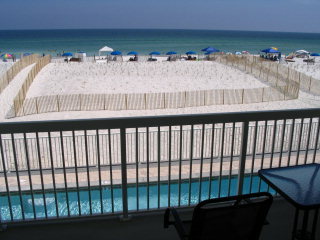 Looking for condos for sale in Gulf Shores, AL? Find every building in Gulf Shores listed on our main page along with info for revenue on all Gulf Coast condos and a recently SOLD Quick Search that lists each condo in alphabetical order for easy access. This info goes back for two years and lists the actual closed price and date. We've included predefined links to search for condos using price, waterfront type, city and a variety of other criteria. Please let us know if you would like further info for Caribbean or any other condos, homes, or real estate along the Gulf Coast or would like to schedule a private viewing by emailing info@condoinvestment.com or by calling (251) Area-Pro (251-273-2776) for immediate assistance. RENTAL TIPS to increase Caribbean rental revenue.